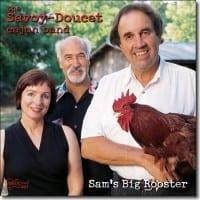 The Savoy-Doucet Cajun Band is: Marc Savoy - accordion and vocals; Ann Savoy - guitar and vocals; and Michael Doucet - fiddle and vocals. Three amazing musicians recorded over the course of 22 years, on one CD... Combining the solid, traditional accordion work of Marc Savoy with the acoustic fireworks of Michael Doucet (of BeauSoleil fame) and the lilting guitar and vocals of Ann Savoy (who recently had three tracks on the soundtrack of The Divine Secrets of the Ya Ya Sisterhood). 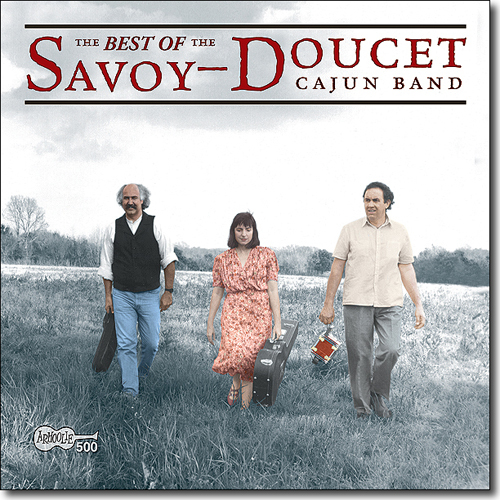 The Savoy-Savoy Doucet Cajun Band makes traditional Cajun music that is lively, enjoyable, and celebrates the joys of uncomplicated, everday life. 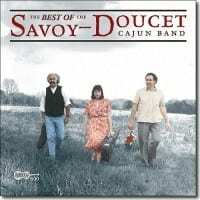 This Savoy-Doucet Cajun Band greatest-hits compilation was culled from four previous albums on Arhoolie. 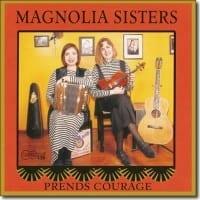 The performers are the undisputed masters of Cajun music, as one familiar with the genre already knows prior to picking up the album. It's generally a loping bit of work on some vaguely scratchy fiddle tunes, with the constant strum from Ann Savoy in the background. Marc Savoy's accordion work is perhaps some of the most outstanding Cajun accordion one will hear, though it's relatively rare for him to go out on a major solo run here, preferring to stick with the other players more often. On the whole, it's an entirely worthwhile album for fans of the genre or of the group, as the bandmembers work through a number of old songs from the traditional books and the old masters of the genre, as well as a few slightly newer numbers written to sound like the old forms. This is music more complex than the Savoys can make on their own, and out of the comfort zone for Michael Doucet's usual ventures with Beausoleil. 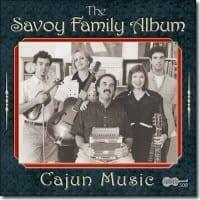 Pick it up for a nice look at the work that the Savoys have done alongside Doucet, and a nice overview of the old Cajun forms, both slow and quick.